Despite its short length, the Hall of Mosses Trail in the Hoh Rain Forest provides nice views of nurse logs, fallen trees that provide a beneficial perch for seedlings to take root. As the young trees grow into giants themselves, their roots reach down around the log and into the soil. In time the log rots away, the emptiness that remains a reminder of how life for one tree began with the death of another. 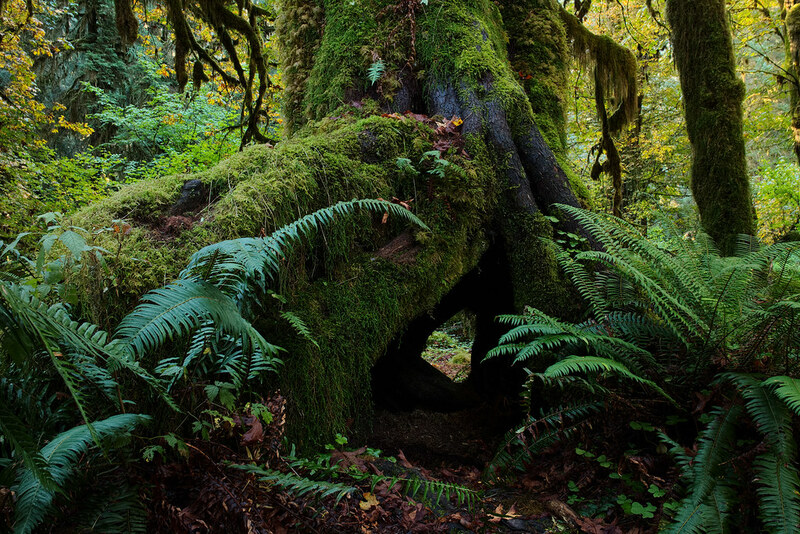 This entry was posted in Scenic and tagged Hall of Mosses Trail, Hoh Rain Forest, moss, Olympic National Park, tree, Washington. Bookmark the permalink.